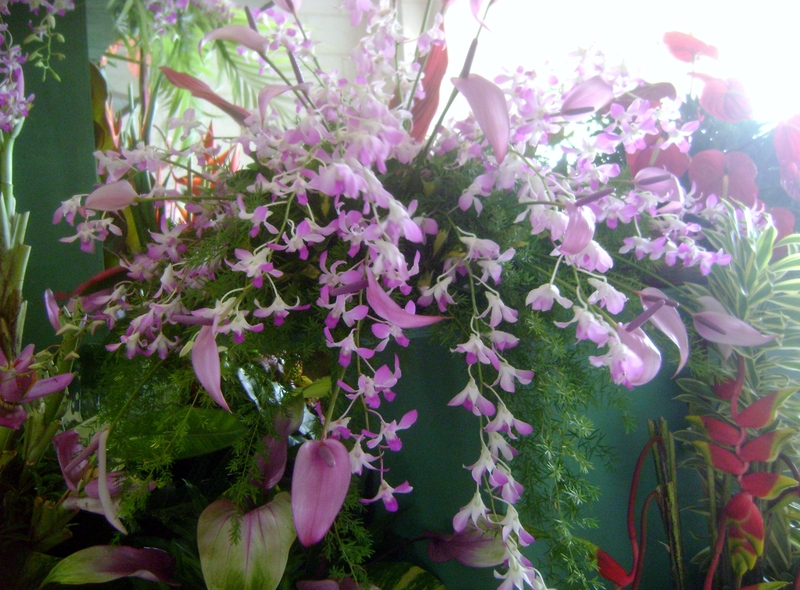 I am surprised at how much I miss flowering arranging. 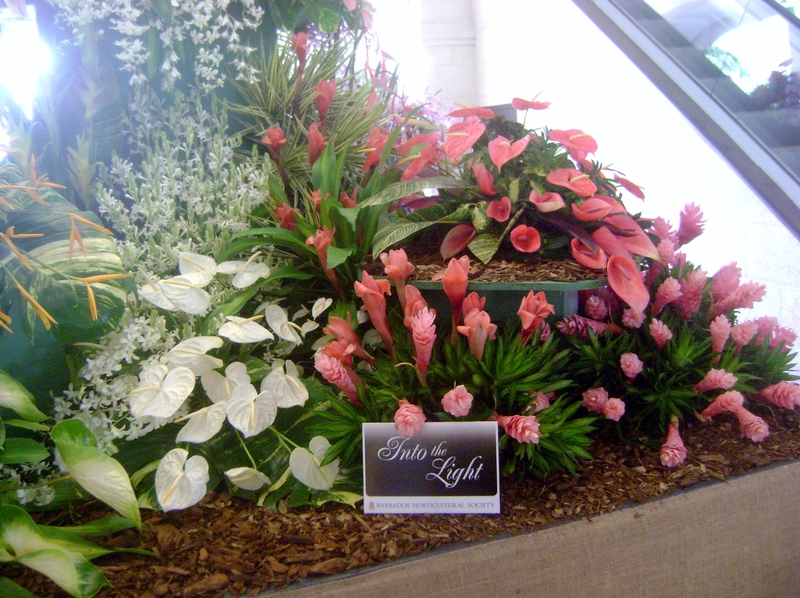 I kind of fell into it as a career, but like most gardeners probably would, I really enjoyed playing with flowers. Where I live has beautiful gardens, with a huge team of gardeners, but I think they would frown on me outside with secateurs. 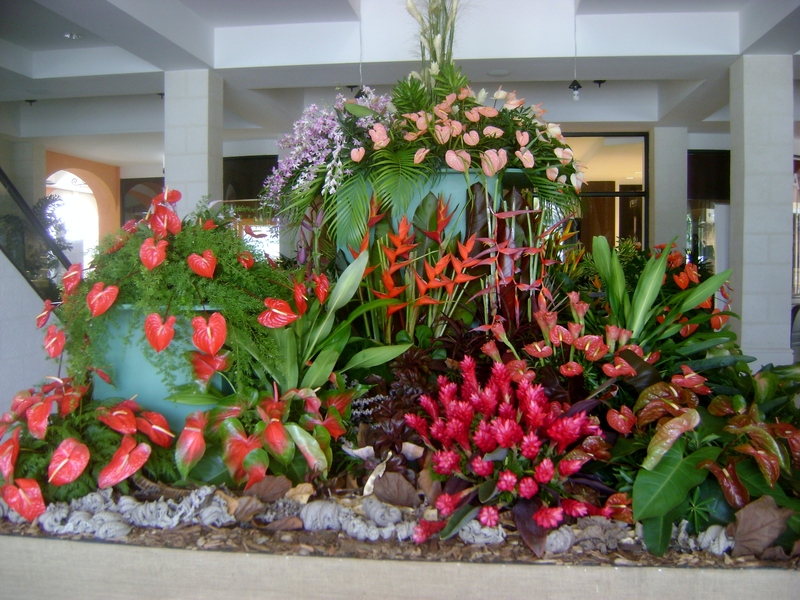 But, I always have my eyes peeled for any interesting arrangements. So you can imagine my surprise when I walked into Limegrove Mall in Holetown. 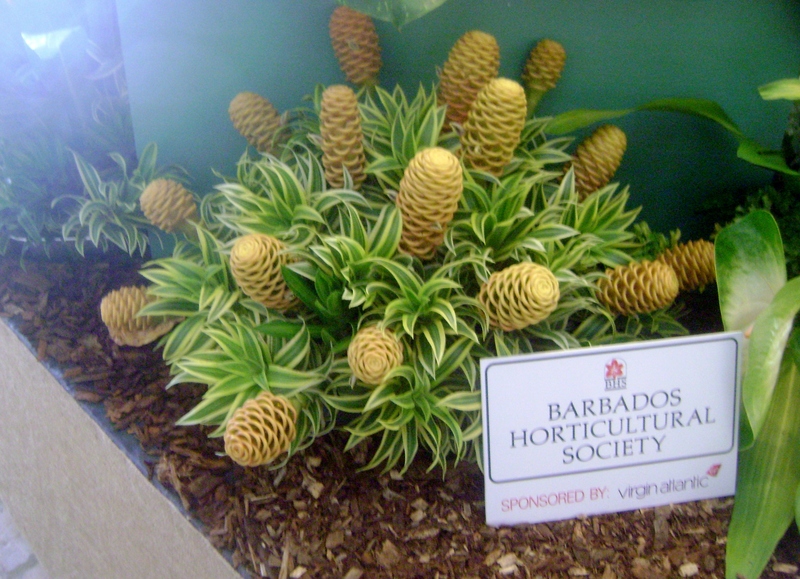 The Barbados Horticultural Society was kind enough to realize that since I couldn’t get to the Chelsea Flower Show this year, they would bring it to me, at least a copy of their gold winning design. Everyone on Barbados is very proud of them, I am constantly told at how they are always winning gold medals, and well deserved. BHS has been competing for just over 20 years, and has 15 gold medals, that is amazing. 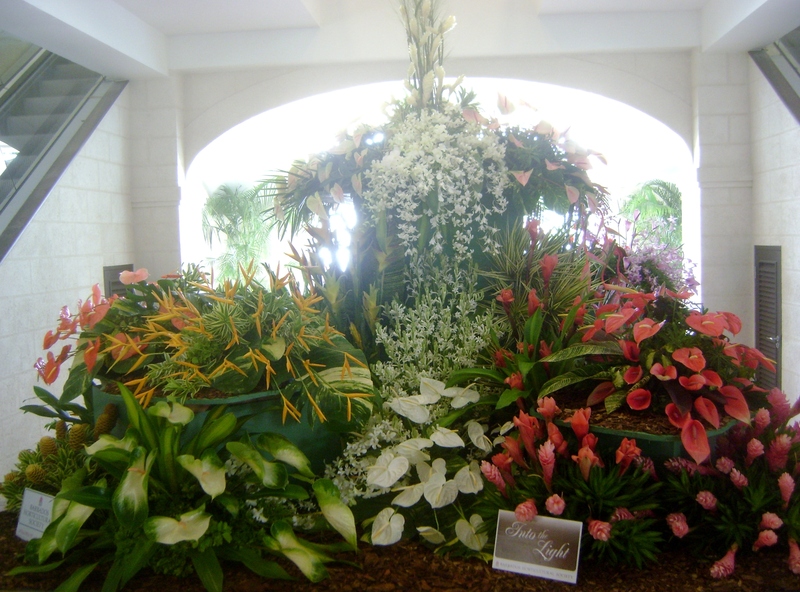 I tried to find out a bit more about this arrangement via Google, but failed miserably. All I could find was a couple of sentences by a local newspaper. The arrangement titled ‘Into the Light’ shows darkness moving into light through colour, style and movement. 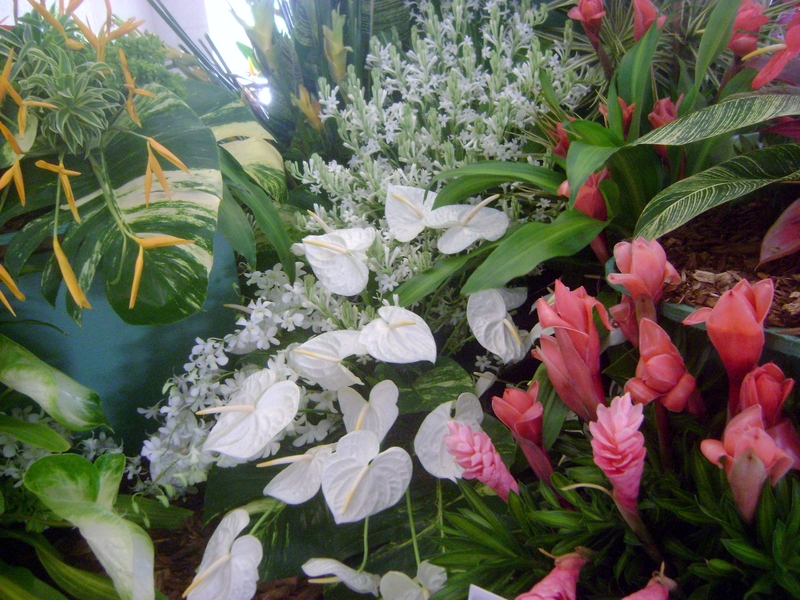 Who know, maybe one day I will be part of the Barbados Horticultural Society’s team for Chelsea Flower Show, never say never!